The Official three-hour long MotoGP Review 2009 is out now on DVD available from Duke. The DVD features exceptional footage delivering every vital highlight from 2009, plus bonus features. The Official DVD Review brings fans the comprehensive story of the third season of the 800cc class, with action-packed coverage of every race. Breathtaking footage charts the title chase as Rossi fights to capture his ninth World Championship, and Lorenzo challenges his illustrious teammate in the hunt for his first MotoGP crown. Plus, you’ll get to witness the heroics of Honda’s injury-hit Dani Pedrosa and Ducati star Casey Stoner, who was sidelined by illness. The DVD features all the epic battles, vital moments, action-packed racing and shocking crashes from an incredible season of the MotoGP World Championship. 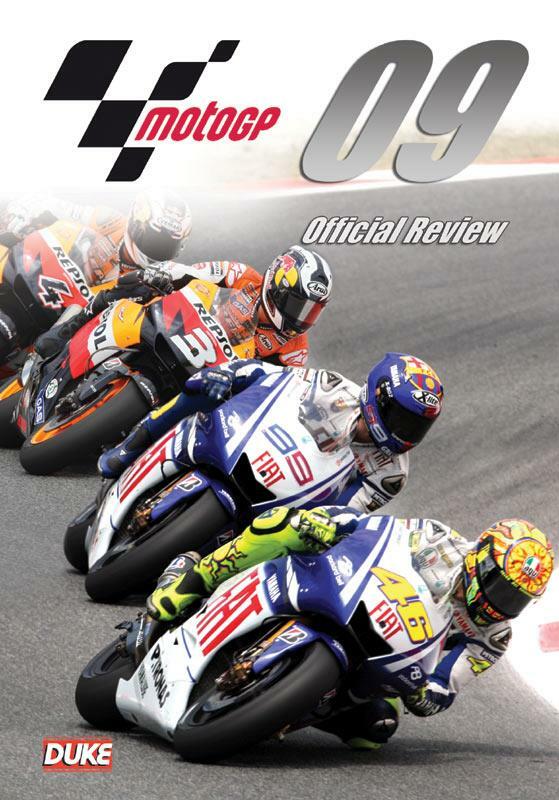 Official MotoGP Review 2009 is Out Now on DVD, priced at £24.46 and will be available from leading video outlets or direct from Duke Video on 01624-640000.